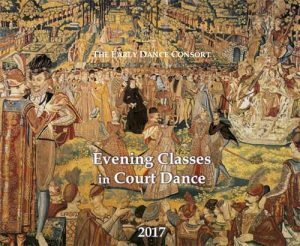 The Early Dance Consort’s Term 1 Evening Classes in Court Dance begin at 6.15pm on Thursday February 2, and run for 10 weeks until April 6, at 181 Blues Point Road, North Sydney. 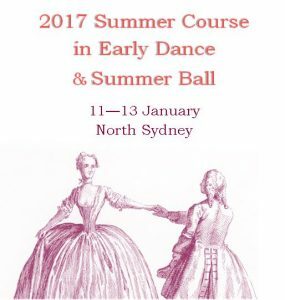 For full details go to http://www.earlydanceconsort.com.au/classes/classes.htm where you will find links to the 2017 schedule and venue information, details of what to wear. 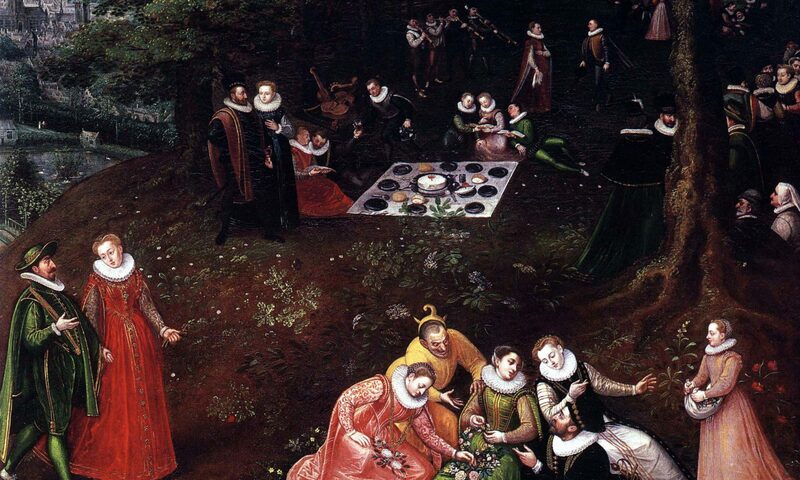 We also offer some suggestions as to why anyone would want to learn about Renaissance and Baroque dance – amongst them the unique combination of history, music, manners, and social exercise for minds and bodies. 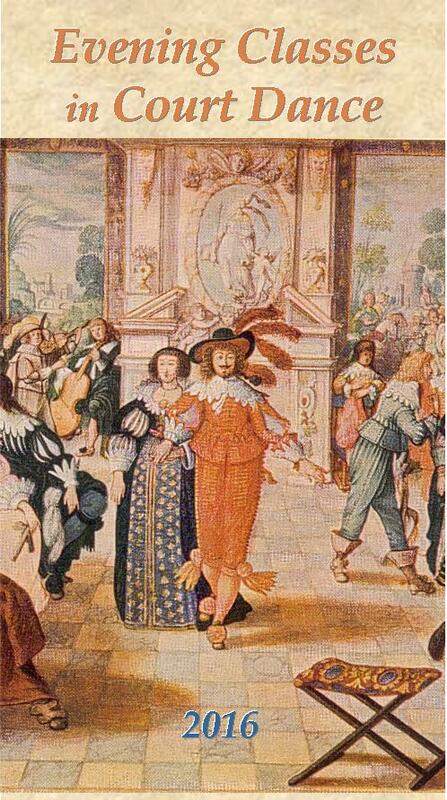 What better way to deepen our appreciation of the dance movements of the Bach Suites than through dance itself? Baroque cellists Rosanne Hunt and Josephine Vains and baroque violinist Shane Lestideau collaborate with Fiona Garlick and John Barnard of Sydney’s Early Dance Consort in an exquisite program of works by Bach, Lully, Couperin, Marais and Scottish composers of the eighteenth century. Join Fiona Garlick and John Barnard of Sydney’s Early Dance Consort as they lead you into the elegant world of French baroque dance. Minuet, Sarabande or Gavotte might look and feel like to dance. 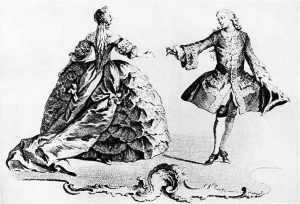 This workshop is the perfect opportunity to step back to the baroque era for a taste of the French noble dances which graced European ballrooms and theatres for nearly a century, and gave the baroque suite its character. 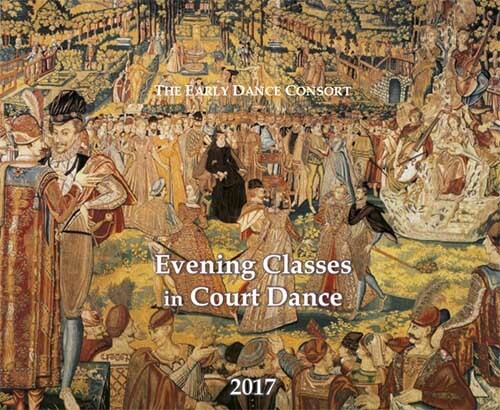 Fiona Garlick and John Barnard will guide you in the technique and distinctive qualities of a selection of baroque dance types, and demonstrate excerpts from original choreographies of the era. In case you can’t make it to the Summer Course, don’t despair – we’ll be holding our evening classes in North Sydney again next year, commencing on February 4. 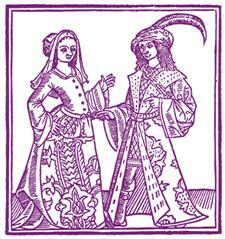 Full details on our Classes page or download a PDF brochure. 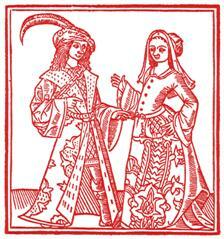 The Sydney Baroque Music Festival returns for its third year to the Sydney Conservatorium of Music in 2015. The festival is an entirely student-driven initiative bringing together young musicians from all over Australia who share a passion for early music. The musicians will be working intensively through the week of 7 to 11 December, to put on a concert of “Water Music”, in the beautiful Music Workshop. This year’s festival welcomes exciting young violinist Rafael Font, who will perform Vivaldi’s concerto “La Tempesta di Mare” with the festival orchestra. The other works being performed include Handel’s Water Music suite in F major, Marais’ “Tempete” from Alcione, Rebel’s stormy Les Elemens, and Telemann’s Divertimento in E-flat major – all on period instruments with gut-strung strings, harpsichords, baroque oboes, flutes and horns, and baroque bassoon and guitar! We’re having a little Christmas/End-of-Year Party on Thursday 17 December, 6.30pm in North Sydney. A relaxed get-together for students past & present, friends & family, and anyone curious about early dance. No charge, catch up with friends, and celebrate with dance. Wear something cool & festive + dancing shoes. Please bring a plate of easy finger food to share (no need for knives/forks) &/or something non-alcoholic to drink. Cups & plates provided. 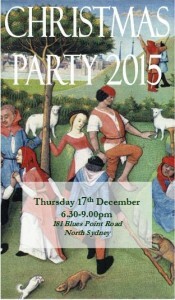 We’d love you to join us to round off the year. Hope to see you soon.